Things have been very busy here at Revolution Games and we have some great new games coming out in 2018. We are working hard to build a solid base of good playable games that fellow gamers will appreciate and not just to turn out games as quickly as possible. To that end, one of our partners, Roger Miller, will now be working full time on the game company. Roger will be focusing on development and supervising the testing of our games. We already spent most of our time doing this but want to make it even stronger. Lots of companies can put out a good-looking game with quality components but we want you to play our games and come away feeling they had the very best testing and development. In addition, he will be designing additional games in his spare time. Our goal is to make games that we would want to play and buy in hopes that other gamers would want the same from a publisher. Here is our projected lineup for 2018. 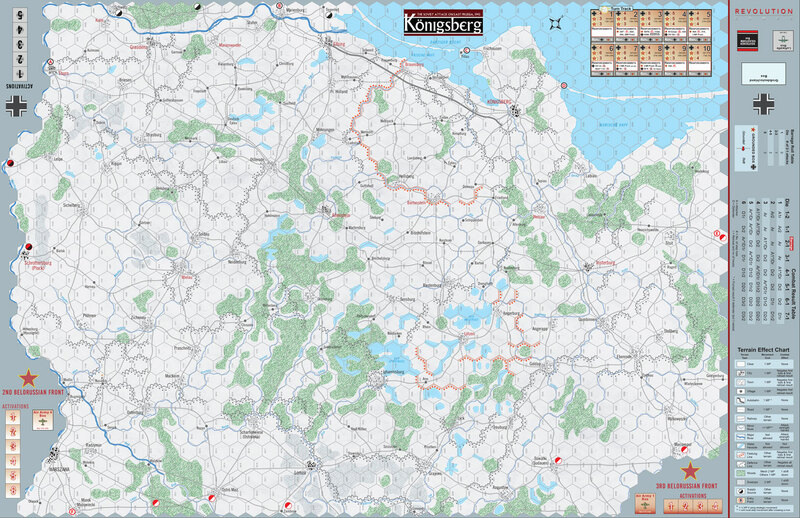 We are happy to announce that Konigsberg: The Soviet Attack on East Prussia, 1945 is now available for order. This is an update to Konigsberg 45 by Three Crown Games. We have made some changes for rules clarity, game balance, and to play a bit quicker. 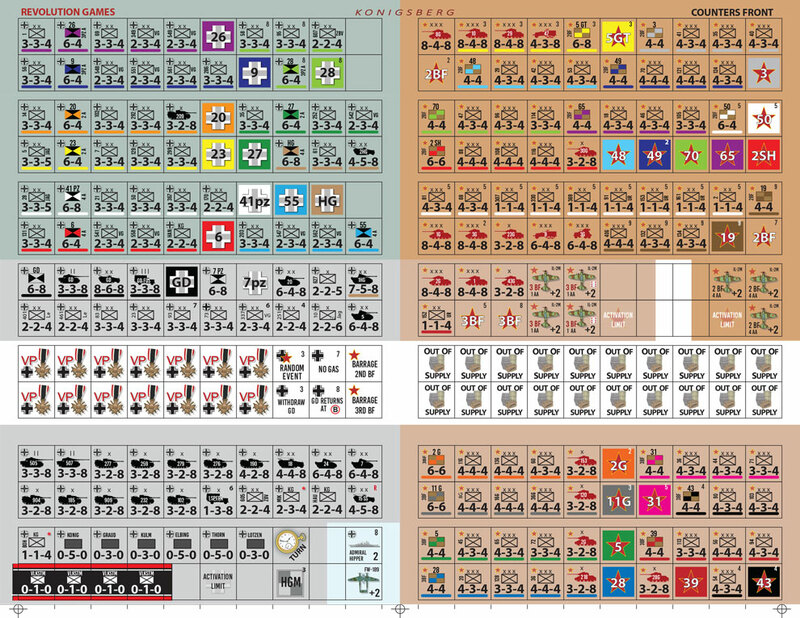 Also, all new map, counters, and cover art. A Revolution Games spin while preserving the core of this excellent design by Stefan Ekstrom. We have two games currently on pre-order that will be released this year. 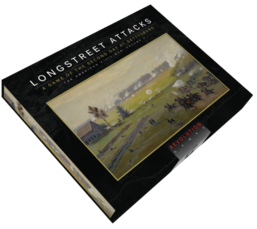 Longstreet Attacks: The Second Day at Gettysburg by Hermann Luttmann will begin taking orders from our pre-order list in April and the game ships in May. Pre-order now to take advantage of the pre-order price. It comes in both a boxed edition and a Ziploc edition. Longstreet Attacks: The Second Day at Gettysburg simulates the fighting on July 2nd, 1863 during the second day of the Battle of Gettysburg and focuses on the southern portion of the battlefield. These engagements involved General Longstreet’s attack against Sickles’ positions, with troops from Hood’s and McLaws’ Divisions, assisted as well by Anderson’s Division of A.P. Hill’s Corps. This game is of course using the same “Blind Swords” rules system as our very popular “Stonewall’s Sword” and “Thunder in the Ozarks” games. It is also a close cousin of “At Any Cost” just published by GMT. Narwa by Stefan Ekstrom is looking at a fourth quarter release and uses the same game system as Konigsberg. Its rules will also be updated for clarity and balance like was done to Konigsberg. Narwa simulates the continuation of the Leningrad–Novgorod Offensive of January 1944, the Soviet Estonian operation pushed the front westward to the Narva River, aiming to thrust deep into Estonia. Stalin’s main strategic goal was a quick recovery of Estonia as a base for air and seaborne attacks against Finland and an invasion of East Prussia. The Soviet units established a number of bridgeheads on the opposite bank of the river in February. Subsequent attempts failed to expand their toehold. German counter attacks annihilated the bridgeheads to the north of Narva and reduced the bridgehead south of the town, stabilizing the front until July 1944. Narwa covers the first three months of the Narva Bridgehead campaign where each turn represents one week. Units are divisions and brigades for the Germans with a mix of corps, divisions, and brigades for the Soviets. Rommel’s Vanguard is a two player game simulating the British and French attack on mobile German formations near Arras, France, on May 21, 1940. Although their forces were modest in size the Allies achieved local surprise and inflicted heavy losses, leading the German commander Erwin Rommel to conclude he was being attacked by a much larger force. One player controls the British and French forces and one player controls the Wehrmacht and SS forces. 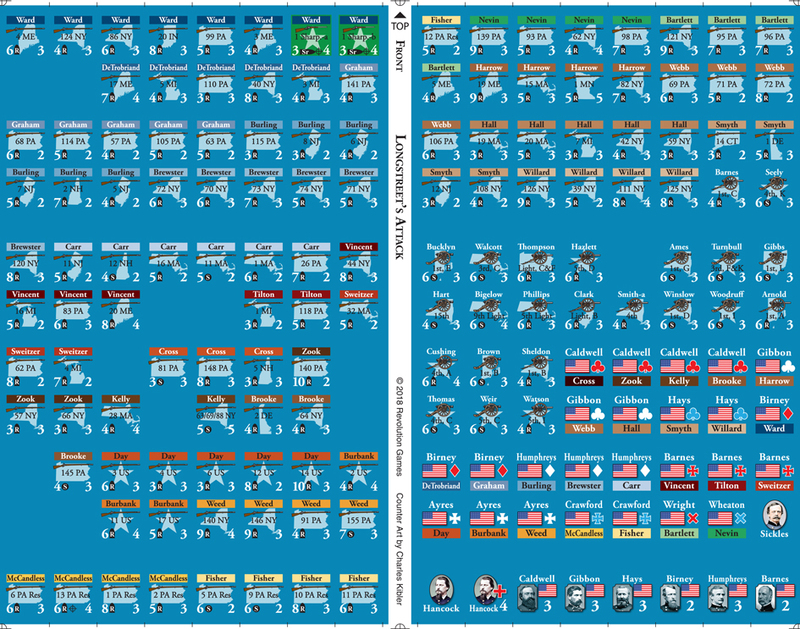 The game features both free setup and historical setup options, as well several optional rules that may be incorporated as desired. There are seven turns, each representing one hour of time. The Allied side holds the initial edge and will be on the attack, but the tide of the battle will gradually shift and see the German side gain the initiative and launching their own attacks. 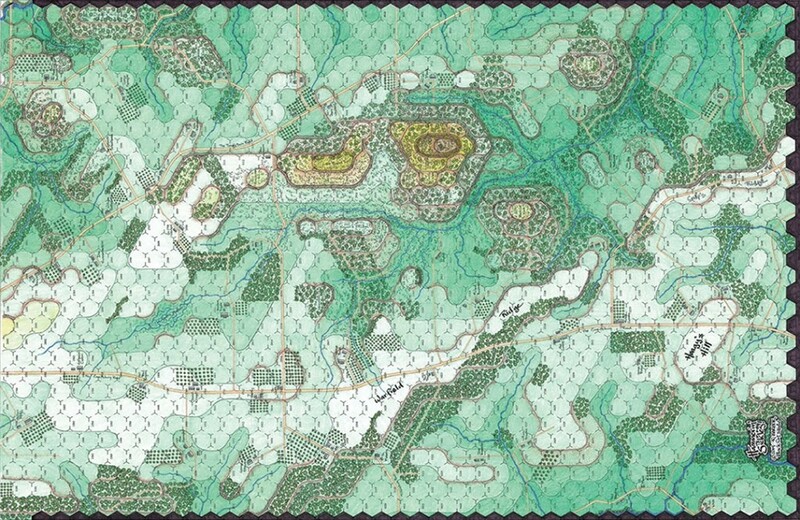 The rules are of low-moderate complexity, similar to earlier area-impulse games published by Take Aim Designs such as Patton’s Vanguard, Last Battle, and Operation Battleaxe, but with unique design elements meant to capture the essence of this particular battle. Like all Take Aim Design games, Rommel’s Vanguard may be played in a single evening.